Beginning his career as an enlisted airplane engine mechanic in 1918, Lieutenant General C.S. Irvine has advanced through engineering and flying assignments to become the Deputy Chief of Staff, Materiel of the U.S. Air Force. General Irvine was born in St. Paul, Nebraska, in 1898. He attended the St. Paul College and did special work at the University of Nebraska. He began flying as an enlisted man even before he entered formal training as a flying cadet at March Field in 1919. He received his pilot wings at Kelly Field in 1920. He received his Reserve commission in 1921. In that same year, he took part in the bombardment tests conducted by General Billy Mitchell against World War I battleships. After serving as a First Lieutenant on active duty in 1924 and 1925 he received a regular commission as a Second Lieutenant in the Army Air Corps in 1926. He spent the next four years as a gunnery and engineering officer at Selfridge Field, Michigan, and Clark Field in the Philippine Islands. For three years, he was the top aerial gunner in the Air Corps. In this period, he flew in early aviation motion picture epics, such as "Wings" and "Hell's Angels." In 1930, he began his first of many assignments as an engineer at Wright Field, national center of military air research and development. While there, be attended the Air Corps Engineering School and, in 1938, was sent to the Army Industrial College. Returning to Wright Field, he held assignments in engineering, inspection, industrial planning and production control. In 1942, he became executive of the Production Division. During this period, he was a key figure in developing the four-engine bomber production program. Early in 1943, he was assigned to Army Air Forces headquarters in Washington as special assistant for aircraft production and later as chief of the Very Heavy Bomber Program. In these jobs, he was deeply involved in the production and modification of the B-29 Super-Fortresses. Among his tasks were those of getting materials and production facilities for these first atomic bomb carriers. He spent tours in England and North Africa conducting bombing tests under combat conditions. From there, he went to China to participate in the planning for bases for the B-29 strikes and the airlift support over the "Hump." In 1944, he went to the Pacific as deputy chief of staff of the 21st Bomber Command with the job of supplying, maintaining and increasing the combat capabilities of B-29s that were striking Japan. He remained in the Pacific and Far East as deputy chief of staff of the Pacific Air Command until 1947, when he went to Strategic Air Command at Andrews Field, Mdaryland. During this period, he planned and established several record long-range flights. 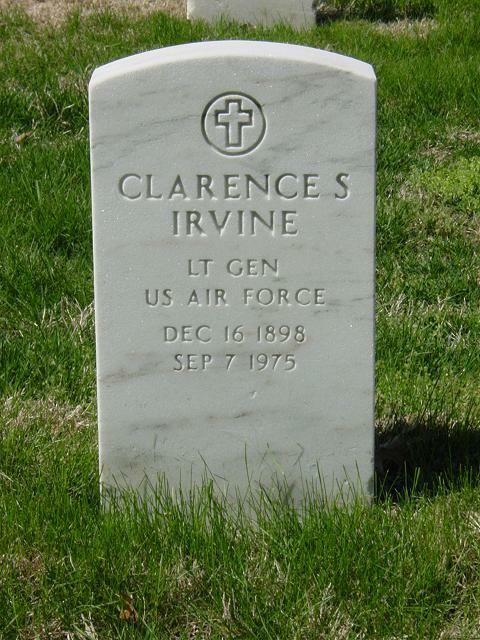 On these flights, from Guam to Washington, D.C. and Honolulu to Cairo, General Irvine developed cruise control techniques which have greatly extended the range of the Air Force strategic bombers. In addition, he set a new record from Los Angeles to New York of 5 hours, 27 minutes. His best known flight was in 1946 in the "Pacusan Dreamboat" from Honolulu non-stop to Cairo in 39 hours. General Irvine took command of the 509th Strategic Bomb Wing at Walker Air Force Base, New Mexico, late in 1948. In 1950, he became Commanding General of the B-36 wing at Carswell Air Force Base, Texas. He later commanded the 19th Air Division at that same base. During this time, much of his effort was spent in re-engineering and modification of the B-36 strategic bomber to increase its combat effectiveness. Prior to completion of this tour he acted as commander of the Eighth Air Force. 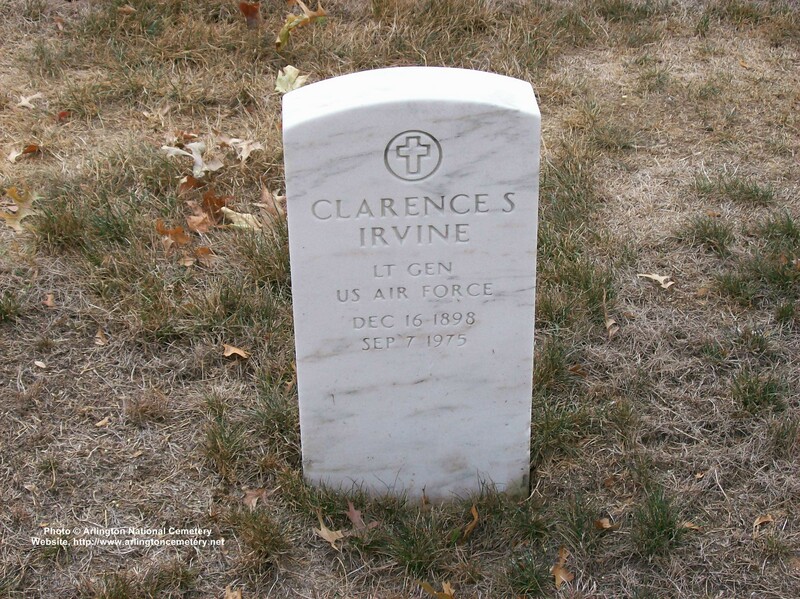 During the Korean War build-up, General Irvine again returned to Wright-Patterson Air Force Base. He became deputy commander of the Air Materiel Command for Production and Weapons Systems. It was his job to get the new jet bombers and fighters off the production lines and into the combat units. He has been active in almost every major Air Force production program with particular emphasis on the B-47 and B-52 bombers. After his many years in the production, engineering and maintenance fields, it followed that he was the logical choice to become the deputy chief of staff, Materiel, Headquarters U.S. Air Force.